So we all know that summer is officially over, and that this year has definitely gone by WAY too fast. 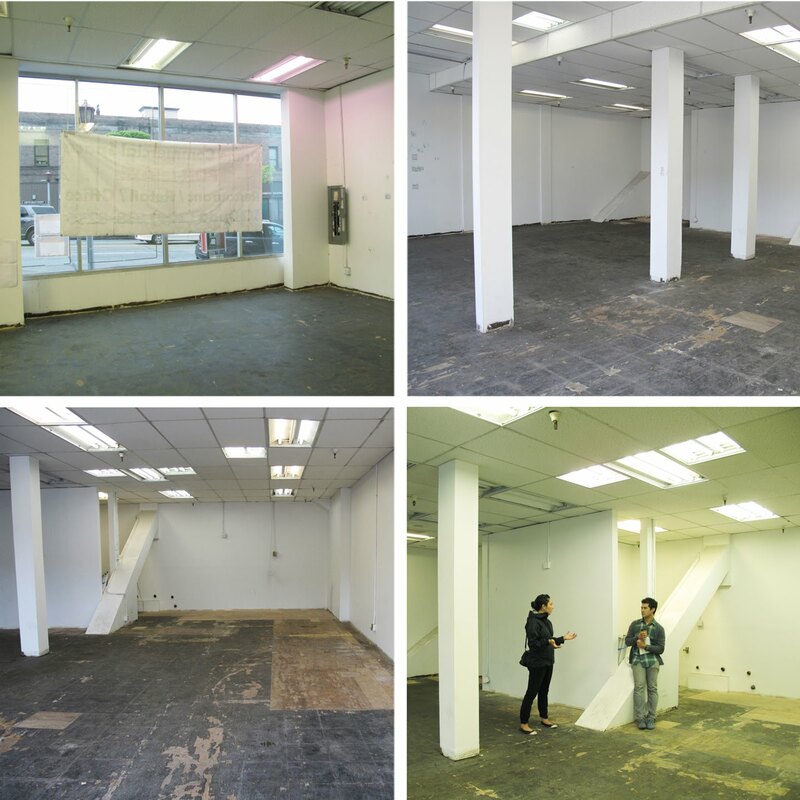 But we're happy to share a great exciting news for BRITE Collective where we have been given a store front spaces for the next 3 months as a temporary residency in the Seattle International District! This means that we get to use this space to host creative events and activities as a platform that can foster individuals to create, connect and leave inspired. Also this will give us an opportunity to connect with local groups/designers/artists/businesses and collaborate to do something fun and out of the ordinary! well...really...it's because of our current unfortunate state of the economy.... But all this is a total blessing in disguise! I see it as a new Renaissance way of living where people, whether they like it or not, have to keep an open mind for things that more temporary, flexible, and unpredictable....and I think all of us are learning to adjust to this new way and trying to embrace the concept of "living in the moment" by taking advantage of the resources & opportunities that are all around us. Just within the past year I've seen so many interesting new food cart/truck business popping up, met new people doing super interesting projects, or new groups coming together to gain forces to do something great...I think we all are looking to make the best out of the worst. And his is exactly what the Seattle Store Front project is all about. 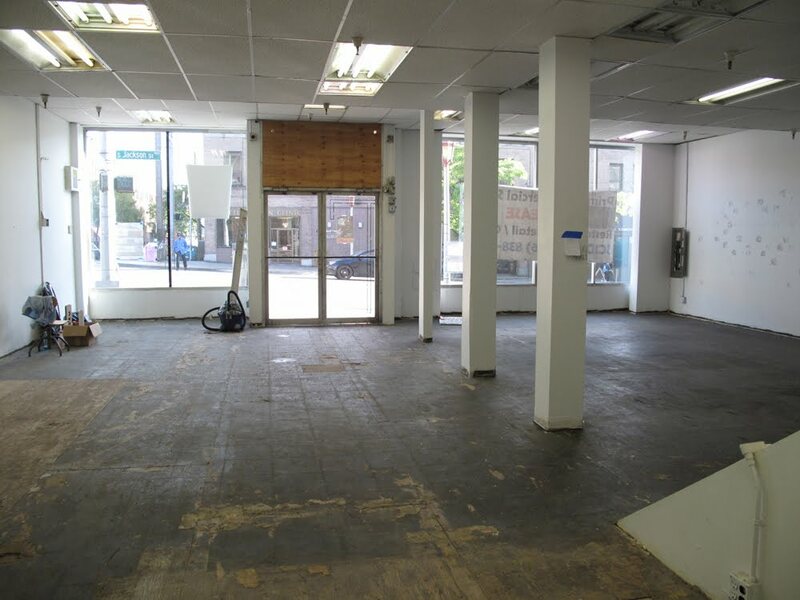 The idea formed when all these vacant/for lease spaces are popping up and dramatically changing the dynamic & the feel of the area. It's never appealing to see or walk through places where you see that every turn you take. So various local Seattle organizations formed this project to encourage creative individuals/groups of all realm to utilize existing vacant store fronts as an opportunity to experiment and bring something positive to the neighborhood as well as help building a stronger sense of community and arts in the area. So despite the unfortunate existence of these vacant spaces around town, this is totally a perfect creative way to put a positive spin on it all. Brite is really looking forward to take full advantage of such opportunity and is planning on teaming up with local groups, artists, designers, musicians, you name it! We got a ton of ideas to host variety of workshops, installations, music and film related events, holiday parties and more!! For the first small event, we invited couple of guys who organizes the annual PARK(ing) Day for Seattle, where they get people to set up parks in what would normally be parking spots or vacant gravel lots for one day simply for the goal to get people to see & use existing spaces differently. We participated in last year's PARK(ing) day, and this year the timing worked out that we got the space around they same time that PARK(ing) day was happening. 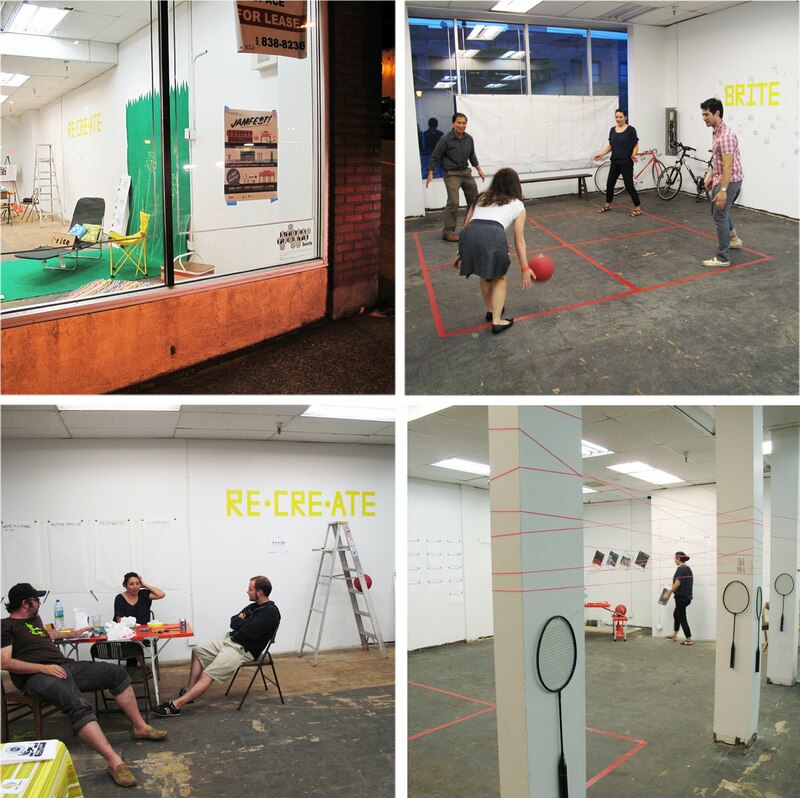 So we decided to set up temporary park-like elements in our vacant space as a way to get some fun activities happeing there to start! Four Square = four times the fun! So much space (1300 sq/ft much of it! ), so many ideas, and so little time!....It's going to be an action packed winter because we got LOADS of ideas/plans which will be taking place really soon!